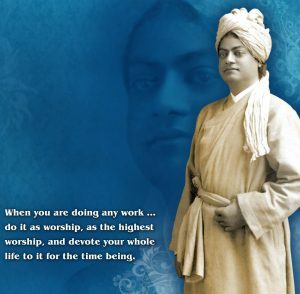 Swami Vivekananda considered service to humanity to be a form of worship of God. As an educational institution that owes its inspiration to Swami Vivekananda, serving the society in every way possible is one of the most fundamental principles driving RKMVERI. Being an institution run by the Ramakrishna Mission, which has a distinguished track-record of serving the society for over a century of its existence, and additionally being a deemed university having a mandate for pursuing both study and research in a diverse range of subjects, this institution is uniquely placed to serve the society effectively in many ways. The following is a brief overview of the outreach initiatives by RKMVERI. Being an institution of higher education, RKMVERI naturally promotes and aims to facilitate a wider spread of education within the society. One important outreach effort of this type is Vivekdisha, an information and communication technology based network that provides a single window for services such as online education (in science subjects and Communicative English) from secondary to undergraduate level, research programs, online portal for taking examinations, online teachers’ training, online and on-site teachers’ workshops, spiritual heritage programs for national and international audiences, publication of books, etc. It began operations in 2008 and as of 2018 has 22 centers with more than 11000 online students. Another outreach effort falling in this category is ‘Joy of Serving’, where the students of the IRTDM faculty center in the Ranchi campus of RKMVERI conduct free tuition classes for school students several days of the week. These activities are primarily run by the School of Agriculture and Rural Development, which has departments in three of the campuses of RKMVERI. Narendrapur and Ranchi campuses have programmes designed to encourage interaction of students with the local rural communities in a variety of ways, with a view to help the students understand and address the challenges faced by the communities. Additionally, the Sasya Shyamala Krishi Vigyan Kendra located in Narendrapur strives to bring modern agricultural technology into the field in the nearby localities. The Coimbatore campus of RKMVERI hosts the departments of GAPEY and FDMSE, which conduct public programmes to build awareness among public, parents and children about topics such as physical and mental disability, adaptive education, rehabilitation of persons with disabilities, etc. A variety of approaches are used to spread awareness, such as conducting seminars, organizing unified play festivals, offering guidance to professionals and other institutions, facilitating awareness-building visits from students of nearby schools and colleges, etc. 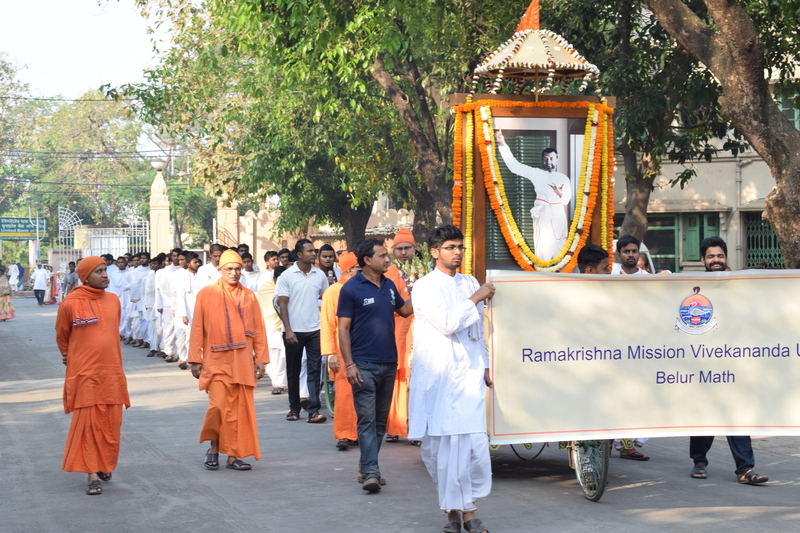 As an educational institution run by the Ramakrishna Mission and deriving inspiration from Swami Vivekananda, studying, preserving and spreading awareness about Indian Heritage is naturally one of the principal objectives of RKMVERI. Apart from academics designed to familiarize the society with the diverse aspects of of the Heritage of India, the Institute also conducts outreach activities designed to apply wisdom contained in this heritage to enrich day-to-day lives. The Outreach Programme on Yoga for Health and Wellbeing (OPY) is an ongoing outreach activity that falls into this category, providing individuals with the facilities to practice Yoga for the benefit of health and wellbeing. In the past, the Institute also participated in the District Yoga Wellness Center scheme (described below) that falls under this category. 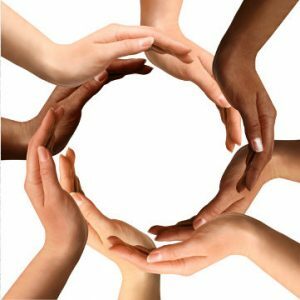 RKMVERI also engages in outreach activities that are in line with the ideals of the Institute but do not directly fall under any of the previous categories. An example is the medical outreach activity in the form of blood donation camps held by the IRTDM faculty center (Ranchi campus). This activity is held annually as part of National Youth Day celebrations. With a view to contributing to rural community life as part of the model village programme, the students of the Faculty Center of IRDM (Narendrapur) periodically visited a model village of IRDM and helped in the implementation of a project on integrated rural development. Apart from monitoring project progress and providing feedback to the faculty centre, the students participated in technology transfer and farmers’ capacity building initiatives. They also pro-actively led women’s empowerment initiatives and community awareness creation as part of this project. This extension project covered several hundred households and succeeded in integrating a large number of rural technologies such as improved seed, planting material, livestock breed, etc., into the community. © 2019 Ramakrishna Mission Vivekananda Educational and Research Institute. Some rights reserved. Please attribute properly and link back.